Thurston A. “T.A.” Shell was admitted to the Florida Bar in 1956 and has practiced law in Pensacola continuously since that time. 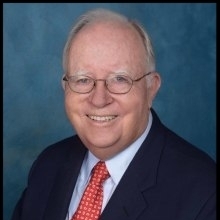 The Escambia County native maintains a general civil practice with emphasis on his clients’ legal needs in the areas of real estate, wills, trusts, probate, business law and eminent domain. He formed many of the early condominiums in the area, including several on Pensacola Beach and Perdido Key. Mr. Shell also has handled the legal work for many of the local residential subdivisions, shopping centers, and other commercial developments. He has served as Pensacola’s city attorney and represents numerous churches and charitable organizations. He was the founding President of the Escambia-Santa Rosa Bar Association and is now its President Emeritus. He has been chairman of the local Florida Bar Grievance Committee and Judicial Selection Committee. Mr. Shell served as a lieutenant in the U.S. Army during the Korean conflict. During law school at the University of Florida, he was a member of Phi Delta Phi Legal Fraternity, Florida Blue Key, an honorary leadership organization, and the Hall of Fame. T. A. is an active member of the First Baptist Church, having taught high school youth in Sunday school for more than 30 years, and served as Chairman of the Deacons. He has also been active in the Boy Scouts, Pensacola Jaycees, YMCA, USO, United Fund and other organizations.